Rev. 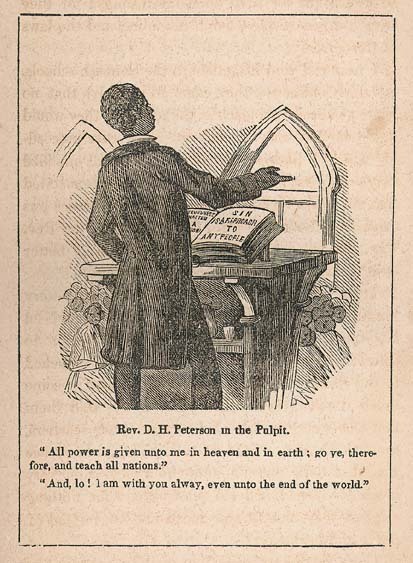 D. H. Peterson in the Pulpit. "All power is given unto me in heaven and in earth; go ye, therefore, and teach all nations." "And, lo! I am with you alway, even unto the end of the world."